Springs are critical parts of your garage door setup. These coils are designed to be strong and durable because they're intended to carry the full weight of an installed garage door - these doors sometimes weigh upwards of 300 pounds. 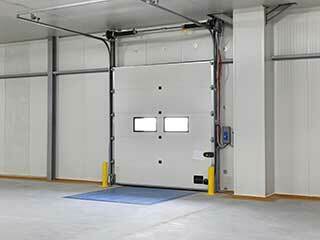 There are two types commonly used in garage door systems: torsion and extension springs. The cycle life of a standard spring may be somewhere between 5,000 and 10,000 cycles. A cycle is equivalent to one round of opening and closing of the door. There are no set of agreed guidelines regarding the number of cycles that springs are supposed to endure so each manufacturer tends to set their own standard. At the low end, a spring with a cycle life of 5,000 (equating to about two cycles per day), will last about 7 years. At the opposite extreme, a 10,000 cycle life spring will last about 14 years. Keep in mind, however, that these are just estimates and will be affected by other factors such as regularity of maintenance. It's typical for springs to get a little bit rusty during the course of their use. When this happens, the integrity of the coil will become compromised, with the potential to significantly reduce its cycle life, leading to an earlier than necessary need for spring replacement. Another way that rust interferes with the action of the spring is through friction. Rusted coils that rub against each other produce more friction, placing more stress on the coil, resulting in more wear and tear. When the door starts to stick or has to work harder to move because of a bent or clogged track, or a rusty roller, this will place more stress on the spring. The spring will be subject to more stress than necessary, again potentially reducing the total number of cycles it will be able to endure in the future. This will also happen if the door is heavier than the ideal weight specified for the springs to lift. Contact our specialists today at Garage Door Repair Suwanee with any more questions you have regarding the lifespan of your springs - we'll be happy to discuss how we can help, whether you're in need of maintenance or a replacement.